Vets and Animal Lovers Unite. A practicing veterinarian for 14 years. 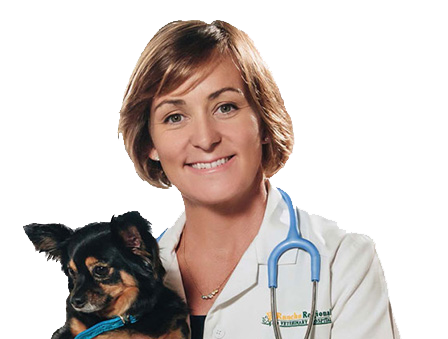 Certified in veterinary acupuncture, Susan began practicing integrative medicine alongside her husband Dr. Chris Berg at their practice. Eating a clean diet has always been important to her and she took the Chinese Medicine Food Therapy course as a way to find an alternative to the processed dog foods for her pets as well as for her patients. The improvements she saw in them changed the way she practiced medicine. Today, Susan practices and talks about Food Therapy to her clients. She has a metal dog, Blueberry, and and a little fire dog, Pip, that keep her busy! A small animal practice owner and a veterinarian for 16 years. 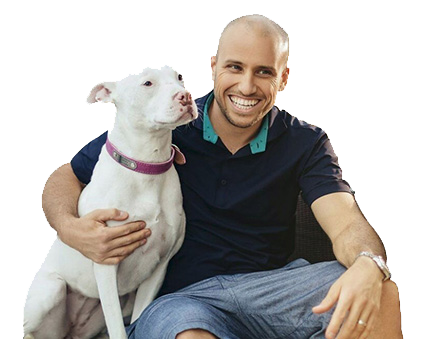 Chris practices Western Medicine and has enjoyed caring for dogs and cats through their lives. He has seen the serious effects of obesity, diabetes, chronic diseases and cancer in his patients throughout his career. After witnessing the positive effects that Susan was achieving, he decided this was an avenue that he should understand and encourage. Chris has a Water dog, Piglet, that loves to be at work with him, greeting the dogs that come into the treatment room. Because your dog deserves the best food to maintain optimum health and vitality, delivered biweekly to your door! ChiDog is a different kind of fresh food. Not only is it prepared with fresh human grade meats, fresh veggies and whole grains, but it’s made to nourish each dog’s personal Element. Based on Eastern Medicine philosophies, ChiDog’s founders are practicing veterinarians who have seen the positive benefits that personalized Food Therapy can have on our cherished four-legged family members. We are united in our mission to give your dog the very best food, for their very best life!